Acclaimed director Steve James (Hoop Dreams) and executive producers Martin Scorsese and Steven Zaillian present Life Itself, a documentary film that recounts the inspiring and entertaining life of world-renowned film critic and social commentator Roger Ebert a story that is by turns personal, funny, painful, and transcendent. 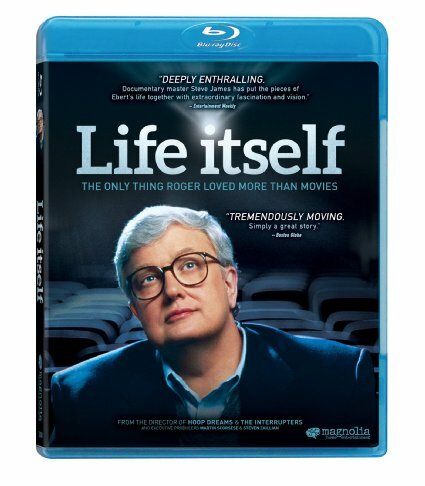 Based on his bestselling memoir of the same name, Life Itself, explores the legacy of Roger Ebert's life, from his Pulitzer Prize-winning film criticism at the Chicago Sun-Times to becoming one of the most influential cultural voices in America. Life Itself screened to strong acclaim at Sundance, Cannes, and Telluride and was named the best documentary of the year by over a dozen critics associations, and received the Golden Tomato Award from Rotten Tomatoes as the best reviewed documentary of 2014. It also was awarded best documentary by The Critic’s Choice Awards, The National Board of Review, and The Producers Guild of America. Supplements include an interview with Director Steve James, deleted scenes, the featurettes “AXS TV: A look at Life Itself” and “Sundance Tribute,” and a theatrical trailer.